Baltimore Baton Takeover this Wednesday! I’m excited to share that I will be taking over The Baltimore Baton’s Instagram on Wednesday! The Baltimore Baton was founded by the awesome Megan Soup (Have you checked out her Soup of the Day blog? 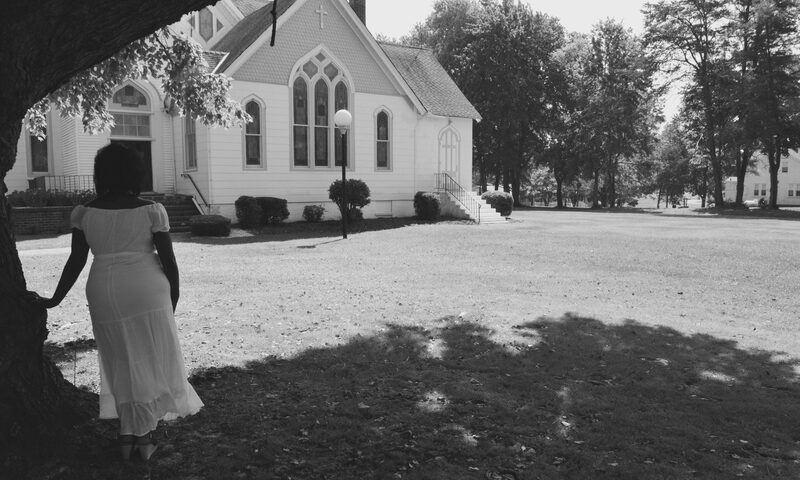 Her engagement story is the sweetest!). Locals take turns with the baton, highlighting the people and places in Charm City before passing the baton to others. As I am on staycation for a better part of the week, I’m looking forward to visiting some places, seeing some people and celebrating a special occasion with friends. Be sure to follow The Baltimore Baton on Instagram. 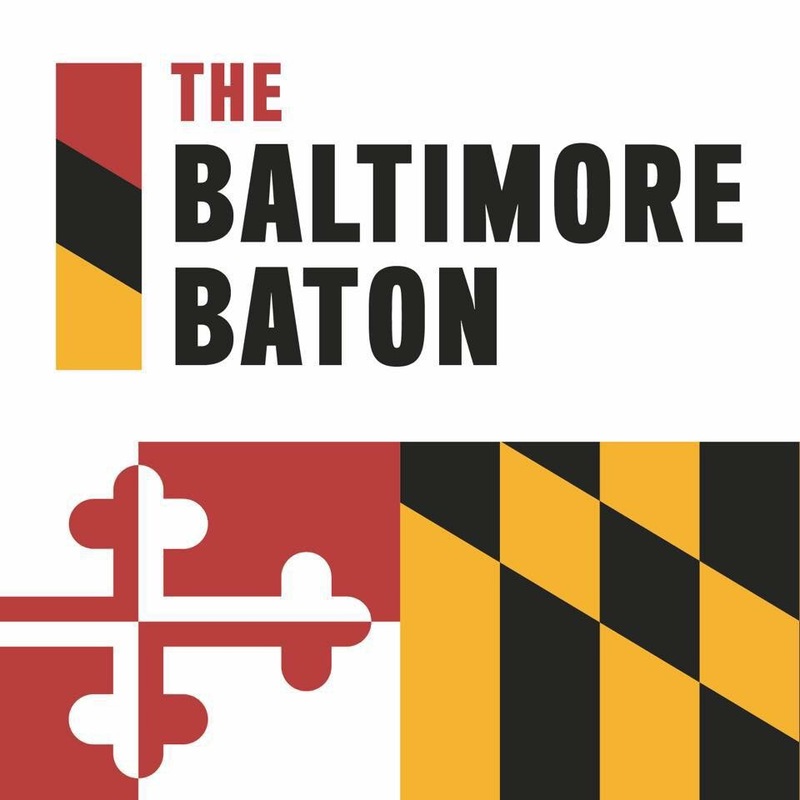 And you’re a local who loves Baltimore as much as I do, consider signing up for a turn with The Baltimore Baton. Email thebaltimorebaton@gmail.com to sign up! Today I am in tears. I have to go to the store to run a few last-minute errands before I leave for Nassau tomorrow, and the cicadas are out in my neighborhood in full force. I am too afraid to go outside. There are literally dozens of cicadas flying into and out of the tree in my front yard. One cicada is perched outside of one of my front windows screeching; another one is clinging to my bedroom window screen. I am so afraid that if I go outside something’s going to land on me, or in my hair. I just took a look outside my window again, and they’re still busy flying about. I shudder to think what I may find if I open my door. A couple of cicadas landed on my car to pay their respects to their dead comrade who’s still stuck in my windshield wiper. Everyone keeps talking about the cicadas reaching their peak next week. I cannot believe that all of this activity is just a prelude to even more heavy cicada traffic. I just heard another male screeching in the window right where I am now. Ugh. I think the cicadas are getting back at me for my anti-cicada journal, and have decided to set up a protest and picket line around my house. Who’s been leaking my journal to the cicadas? I braved the elements earlier this evening to go out to dinner with one of my girlfriends and her daughter. When they came to pick me up, my neighbor was outside cutting his lawn. BIG mistake. As I opened the door, he smiled and waved enthusiastically. “Hi! Look, we’ve got cicadas!” I looked down on the ground to see an entourage of cicadas eagerly following the lawn mower as my neighbor mowed back and forth like he was the Pied Piper or something. My neighbor’s wife and little daughter were outside eagerly watching the cicadas zip back and forth following the hum of the lawn mower. As the cicadas realized that it wasn’t a male cicada trying to put the moves on them, one by one, they flew off…and headed straight towards me! As I ran to hop in my girlfriend’s car, my neighbors were chuckling. “Oh, they’re harmless. You should see our backyards! There are hundreds of them back there!” That’s when I told my girlfriend Yvonne to pull off. I had heard enough. Yvonne was cruising towards Route 40 past all kinds of trees with her windows down. That’s a blatant invitation for a cicada to fly in and take over your car. I was dreading the return trip home, so before we left the restaurant, I grabbed my keys, armed and ready to march straight to my front door. Yvonne looked at me and asked me what I was doing with my keys out. Apparently, she must’ve thought that I had forgotten that she drove. I didn’t forget, I was just trying to be on the ready. Finally, when we arrived at my house, I was very apprehensive about walking up to the front door. I didn’t know if the cicadas were camped out in my yard, or chillin’ on the door frame. I stood there for a good 30 seconds, not sure of what to do. Should I run, open the front door and hope that there’s nothing close enough to fly into the house? Should I walk slowly and cautiously, so as not to disturb the cicadas? Or should I ask Yvonne to drop me off at BWI so that I could catch the first flight out of town? Yvonne, concerned, sent her daughter Kyra to open the door for me. I asked Kyra if she saw any cicadas on my front door; she told me that she didn’t, and then she waited for me to open the door. She’s such a sweetie pie. Later on, my sister Shani called to tell me that she read my weblog and thought it was hilarious. She was laughing uncontrollably, which to me, indicated that she was laughing at me, and not at my journal writings. I asked Shani how many cicadas had she seen thus far; she said she’s seen one cicada shell. Okay, now she’s disqualified. I’ve seen cicadas hanging from trees, flying around, landing on my shoulder, waving at people, chilling on lamp posts, directing traffic in parking lots, doing the cha-cha slide on the sidewalk, you name it. I’ve seen a few dozen cicadas to her one…and she has the nerve to laugh at me. And anyway, why is Shani perpetrating now like she isn’t afraid of bugs? This is the girl who used to scream when she found a cricket in the laundry basket. She’s trying to laugh at me? That’s a shame and a half. Wait until a cicada lands on her shoulder. I bet she won’t be laughing then. I had my first encounter with a member of the Brood X Cicada family. I live on the outskirts of the Patapsco State Park, so I’m sure that the cicadas in my area will be rolling like P.Diddy’s entourage in a few weeks. However, it’s still pretty early in the Brood X season, so I didn’t expect to see a cicada this soon. On Tuesday evening, I stopped at a gas station on Security Boulevard to buy gas. (I had to take out a second mortgage on the house just to fill up my gas tank…but that’s a whole ‘nother saga). As I was walking towards the pump, it happened. This huge bug landed on my right shoulder! It looked to be about the size of a 4-year-old child…I kid you not! Okay, so it wasn’t 3-feet tall, but it was way too big to be flying around! I don’t know if the thing was lost and needed directions to the park, or if God was exercising his sense of humor, but it picked the WRONG shoulder to land on. For a minute there, I tried to lay aside my fear of insects, and tried to play it cool. I thought if I could simply brush it off my shoulder, I’d be okay. My first instinct was to scream, but I was trying to handle it rationally. So I started flicking at the thing, and then I proceeded to stomp my foot; the bug didn’t move. I yelled at the bug; it didn’t move. After exhausting all possible options, I had no choice. I had to scream. And you know what? The bug still didn’t move. It took a little twisting and turning, and a lot of screaming for the bug to eventually fall to the ground. A couple of other customers at the gas station asked me if I was okay. I think one lady was laughing at me as she was pulling off. But trust me, that sister will have her day. I was so freaked out by this bug landing on me, that I quickly put the cap back on the tank, hopped in the car and sped off. Don’t buy gas from the Shell station on Security Boulevard. This is a cicada-friendly establishment. Don’t waste your energy trying to yell at, or reason with a cicada. Cicadas don’t understand English. Don’t move near a state park. Parks tend to have a lot of trees, and cicadas like trees. Hence, where there are trees, there will be lots of cicadas and mass pandemonium. If a cicada lands on your shoulder, you can easily get it off by turning in a circle twice counter-clockwise while screaming loudly. This will effectively make the cicada dizzy and will scare it (along with anyone within 30 feet of you). In the coming weeks, as the cicadas sneak out of the Patapsco State Park and start roaming through my neighborhood, I’m sure I’ll come up more reasonable and rational tips to pass along. I don’t know who told the Brood X Cicadas that they could just show up unannounced four years early. But whoever it is, they will have hell to pay. It’s 2017, and those beady-eyed flying terrors of destruction were not due back here for another four years. I needed those four years to come up with an escape plan. Anyone who knows me know that I am not a cicada fan. And anyone who knows me well knows that I had a little blog called The Cicada Files back during the last Brood X invasion. As I will be spending a lot of time indoors over the next several weeks, I’ll be sharing posts from The Cicada Files archives here.